BURLINGTON, VT - 1/14/2019 - Wrenegade Sports today launched registration and revealed details for the 2019 Farm to Fork Fondo series. Information for this season's eight events, including ride information, menus, and featured farms can be found at FarmToForkFondo.com. Opening week special pricing and giveaways are running through Friday, January 18th. The unique farm-to-table bicycle event series now includes stops in New York’s Hudson Valley at Warwick Valley Winery on June 9; Asheville, North Carolina at Hickory Nut Gap Farm on June 30th; Vermont’s Champlain Islands at Snow Farm Vineyard on July 21th; New York’s Finger Lakes region at Atwater Estate Vineyards on August 10th; Pennsylvania Dutch Amish Country at Cherry Crest Farm in Lancaster, Pennsylvania on August 24th; Virginia’s Shenandoah Valley at Belle Grove Plantation on September 15th; the Berkshires of western Massachusetts at Hancock Shaker Village on September 29th; and Louisville, Kentucky at Hermitage Farm on October 20th. Wrenegade Sports expects 5,000 participants in total from more than 40 different states as well as several international locations, too. “After retiring from my 13-year career in professional cycling, I founded the Farm to Fork Fondo series in 2015 with the goal of celebrating and supporting the symbiotic relationship between cyclists, farmers and beautiful open space," said Farm to Fork Fondo series founder Tyler Wren. "Our events in Hudson Valley, Vermont’s Champlain Islands, and Pennsylvania Dutch country have been hugely successful, and I am very excited to expand the series in 2018 to two new iconic farmland locations in Lousiville, Kentucky and Asheville, North Carolina." One of the primary goals of the Farm to Fork Fondo series is to educate and motivate the cycling community to support the farming community. 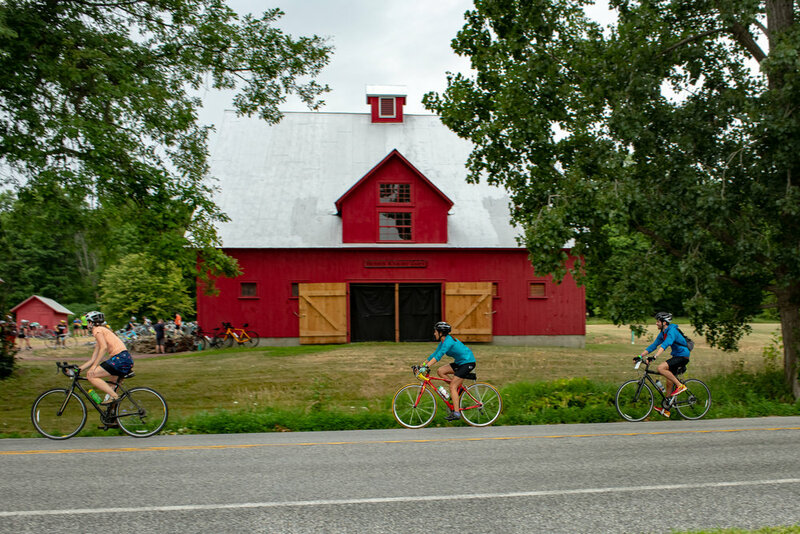 "The farms along our routes represent more than just gorgeous scenery – connected to every beautiful barn are families doing work that is vital to our way of life, and I want to encourage more cyclist-farmer social connections and motivate more cyclists to support their local farmers wherever they call home,” said Wren. The festive and welcoming events have also brought new participants into the sport of cycling. Every Farm to Fork Fondo includes distance options for all abilities, gourmet aid stations at local farms, elegant farm dinners, activities for the whole family and more. Farm to Fork Fondo is a series of non-competitive cycling events in iconic farmland regions throughout Northeastern, mid-Atlantic, and Southern states. The mission of the Farm to Fork Fondo series is to highlight and support the symbiotic relationship between cyclists, farmers and beautiful landscapes. Ride options range from 10 to 100 miles, and include several on-farm aid stations where participants sample chef-prepared treats made from each farm’s ingredients. For more information, visit FarmForkFondo.com. Farm to Fork Fondo partners include Bianchi, Elite Performance Team, GU Energy Labs, Vittoria, Stages, Silca, Stans No Tubes, Bar Mitts, Tetra Bike, Drink Simple, Clif Bar, Cycliq, Ride With GPS, Velofix, CyclOps, Pactimo, and Rudy Project. Wrenegade Sports produces the Farm to Fork Fondo event series. Wrenegade Sports was founded by former professional cyclist Tyler Wren with a mission to whip up perfect combinations of health, social good, community, and fun into unique and awesome events. Wrenegade Sports' guiding principles are: to promote physical activity in a fun and supportive environment; to create achievable challenges for people of all ages and physical abilities; to leave our event host communities better than we found them and to use our events to do social good.